Dr. Lisa Conti serves as the Deputy commiss ioner and Chief Science Officer of the Florida Department of Agriculture and Consumer Services. As such, she oversees the divisions of Food Safety, Agriculture Environmental Services, Aquaculture, Animal Industry, and Plant Industry. Prior appointments were with the Florida Department of Health, as Division Director of Environmental Health, Florida State Public Health Veterinarian and State HIV/AIDS Surveillance Coordinator. 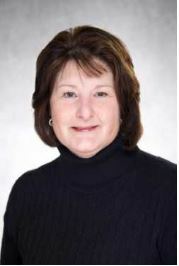 Additionally, Dr. Conti served on the NIH National Advisory Environmental Health Sciences Council. She was a founding member of the Florida Rabies Control and Prevention Advisory Committee, sat on the Rabies Compendium Committee of the National Association of State Public Health Veterinarians, was an Executive Board member of the Florida Veterinary Medical Association (FVMA) and established and chaired the FVMA One Health Committee from 1995-2013. 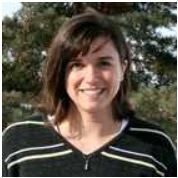 Dr. Margaret Carrel is an assistant professor at the University of Iowa Department of Geographical and Sustainability Sciences. Dr. Carrel attained her Masters of Art in Geography, and her PhD in Geography from the University of North Carolina-Chapel Hill. 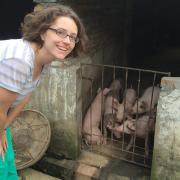 Her current research focuses on exploring geographic patterns of health and disease using GIS and spatial statistical techniques. Dr. Carrel’s research centers around understanding how complex interactions between people and environments result both in disease outcomes and the progressive evolution of human pathogens. Dr. Carrel combines spatial analytic techniques of landscape ecology and geography with the computational methods of population genetics to study H5N1 influenza in Vietnam, H1N1 in China, malaria drug resistance in the Congoand HIV drug resistance in North Carolina. Dr. Kamyar Enshayan is an engineer with graduate work in solar energy, climatology, and sustainable agriculture. 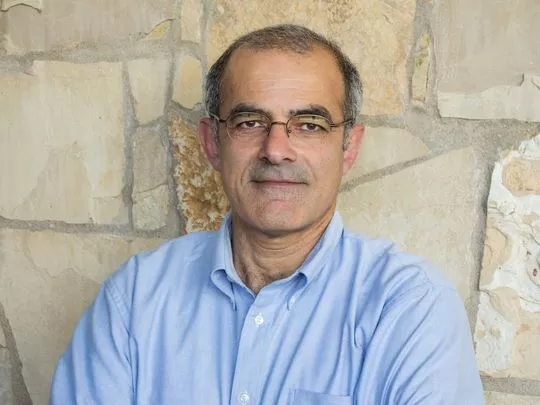 Dr. Enshayan founded the University of Northern Iowa’s Local Food Program in 1997 and consults with communities on strengthening their local food economy. Dr. Enshayan has served as a member of technical review committee for USDA North Central Region for Sustainable Agricultural Research and Education. In addition, Dr. Enshayan teaches environmental studies at UNI. Kamyar Enshayan received the 2008 Sustainable Agriculture Achievement Award from Practical Farmers of Iowa; he also directs UNI’s Center for Energy & Environmental Education, where he and staff work with community leaders across Iowa and turn what we already know from science into action in the context of community environmental conservation. The Model of a National Center: The National Center for Interprofessional Practice and Education. The National Center, a public-private partnership, was founded in 2012 through funding from the Health Resources and Services Administration and four private foundations to serve as an unbiased, neutral convener regarding issues of interprofessional practice and education. This session will provide an overview of the National Center’s major work and its application to models of interprofessional practice across health and health care settings. Dr. Hemesath is a marriage and family therapist practicing in an interprofessional primary care clinic at the University of Iowa Family Medicine Clinic at Iowa River Landing. 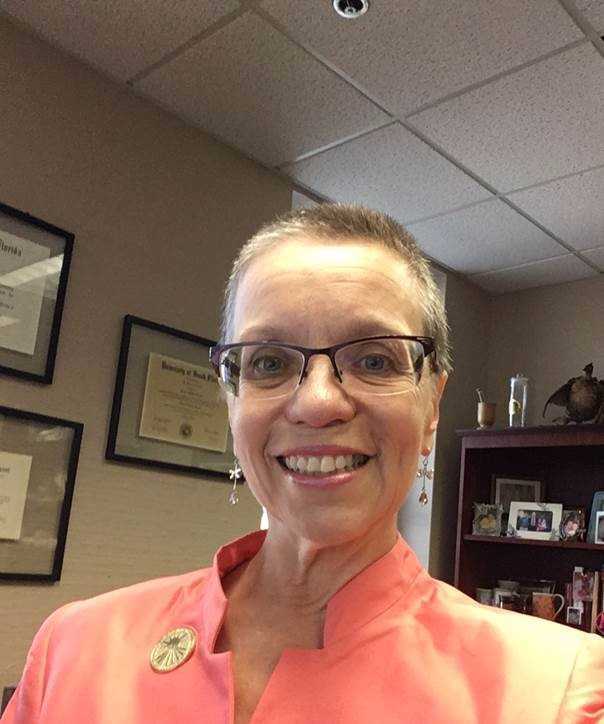 Before accepting a faculty position at the University of Iowa she worked as a team member in the National Center for Interprofessional Practice and Education and continues her affiliation with the Center. Dr. Lauren Hughes is a family physician and Deputy Secretary for Health Innovation for the Commonwealth of Pennsylvania. Prior to joining the Department of Health, Dr. Hughes was a Robert Wood Johnson Foundation Clinical Scholar at the University of Michigan where she studied health services research. 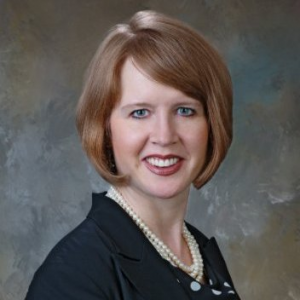 Dr. Hughes obtained her MPH from Iowa State University and a medical degree from the University of Iowa, additionally she has degrees in zoology and spanish from Iowa State University. Dr. Hughes has served as the national president of the American Medical Student Association for one year prior to completing her residency at the University of Washington in Seattle. Dr. Hughes has volunteered through the AmeriCorps in a federally qualified health center, she has worked for Iowa Senator Tom Harkin, and she has studied medicine and health systems in Brazil, Sweden, Tanzania and Botswana. Dr. Hughes was also a visiting scholar at the Robert Graham Center, ABC News Medical Unit in New York City, the Center for Medicare and Medicaid Innovation. 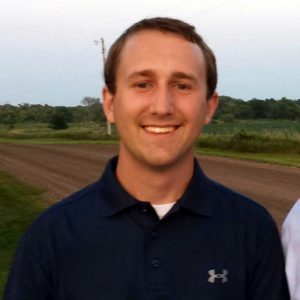 Karl is a bio life entrepreneur and USDA National Institute of Food and Agriculture predoctoral fellow at the University of Missouri. A native to southwest Iowa and raised on a swine genetics farm, Karl’s research today is focused on dual benefit outcomes for human health and animal agriculture, particularly on methods of diagnosing infertility and improving desired fertility outcomes. An overall career goal of his is to increase animal protein and biotherapeutic production by the year 2050.